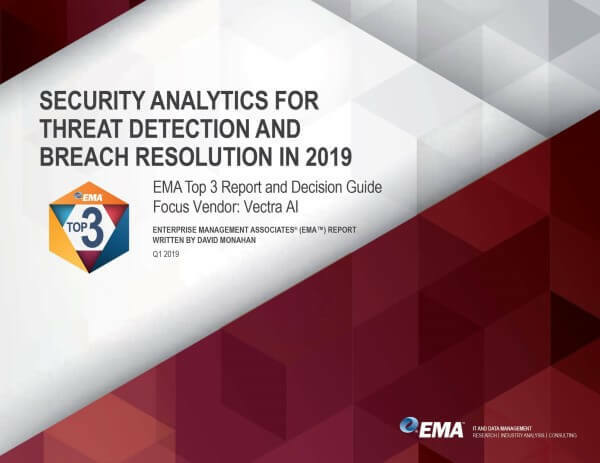 Cognito AI from Vectra meets today's cybersecurity challenges by blending human expertise with a broad set of data science, machine learning techniques and deep learning to automate the manual, time-consuming work performed by security analysts. 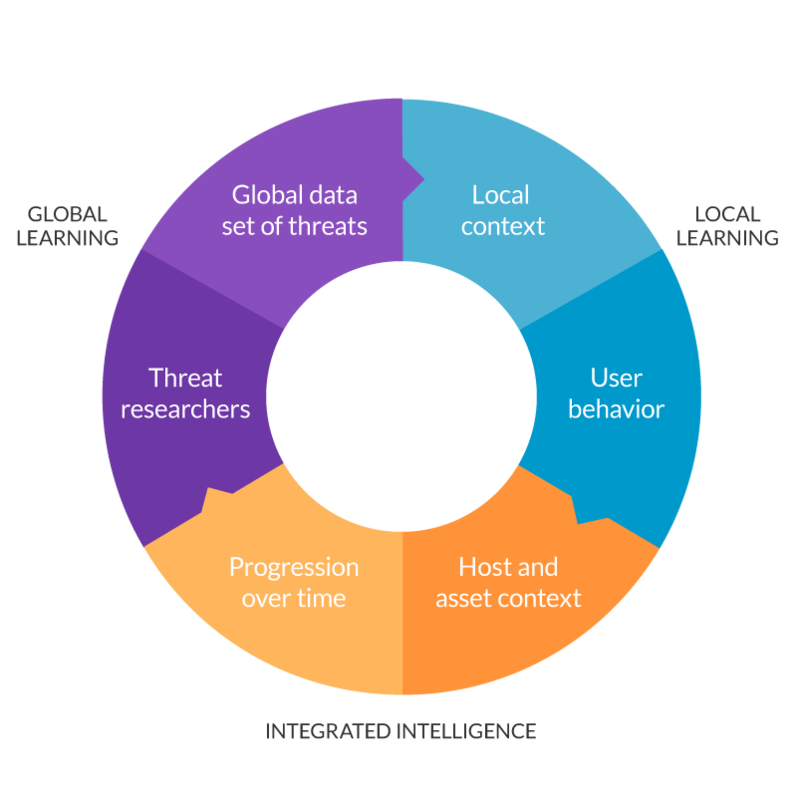 By automating cyberattack detection, triage, correlation and scoring, and empowering threat hunting and response, Cognito AI condenses days or weeks of work into minutes, reducing the threat investigation workload by up to 36X. 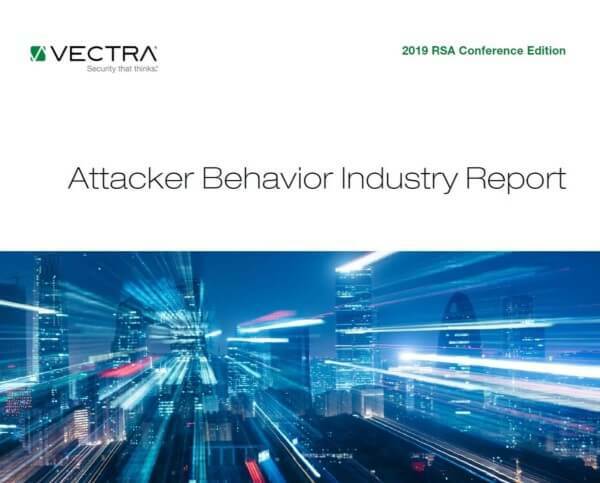 Using behavioral detection algorithms to analyze metadata from captured packets, Cognito AI detects hidden and unknown attacks in real time, whether traffic is encrypted or not. Cognito AI only analyzes metadata captured from packets, rather than performing deep-packet inspection, to protect user privacy without prying into sensitive payloads. 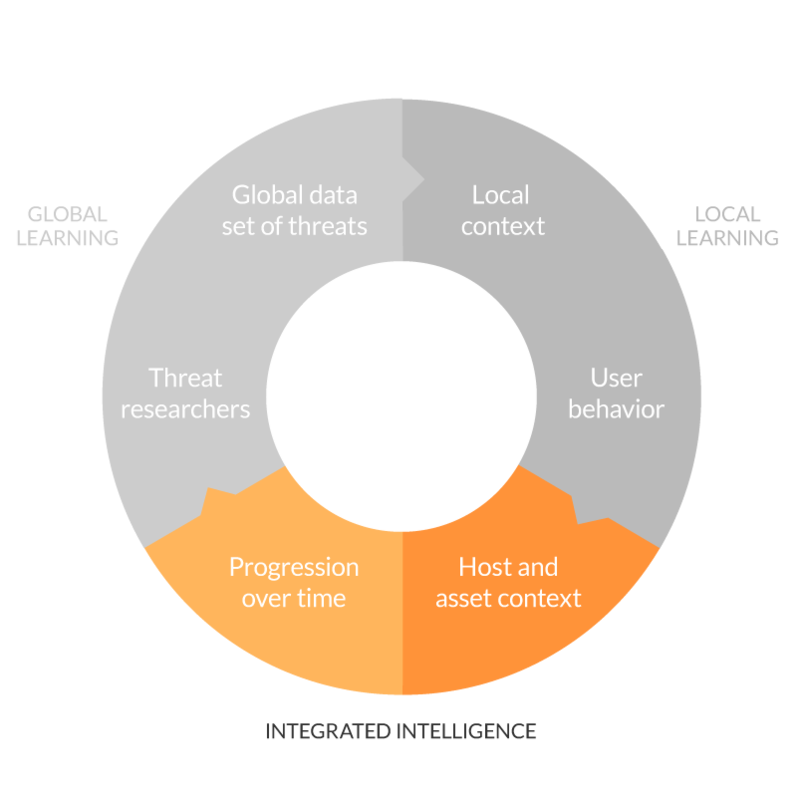 Global learning identifies the fundamental traits that threats share across all enterprise organizations. 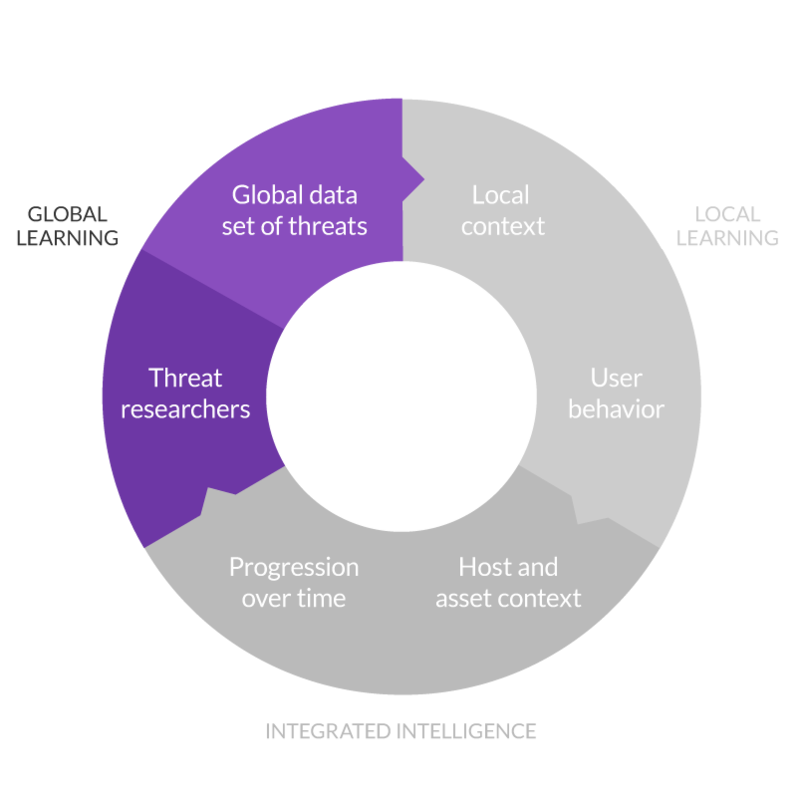 Global learning begins with the Vectra Threat Labs™, a full-time group of cybersecurity experts and threat researchers who continually analyze malware, attack tools, techniques, and procedures to identify new and shifting trends in the threat landscape. Their work informs the data science models used by Cognito AI, including supervised machine learning. It is used to analyze very large volumes of attack traffic and distill it down to the key characteristics that make malicious traffic unique. 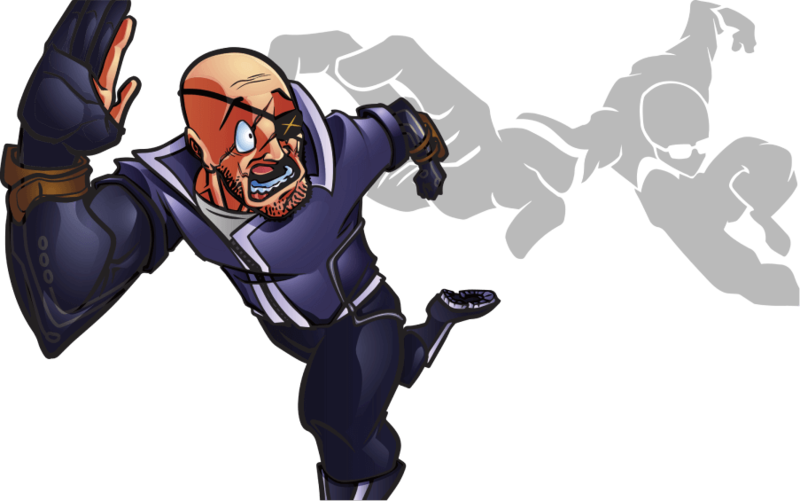 What: Find the hidden traits that all threats share in common. Why: Fast detection of bad behavior, no local learning required. How: Supervised machine learning and deep learning. 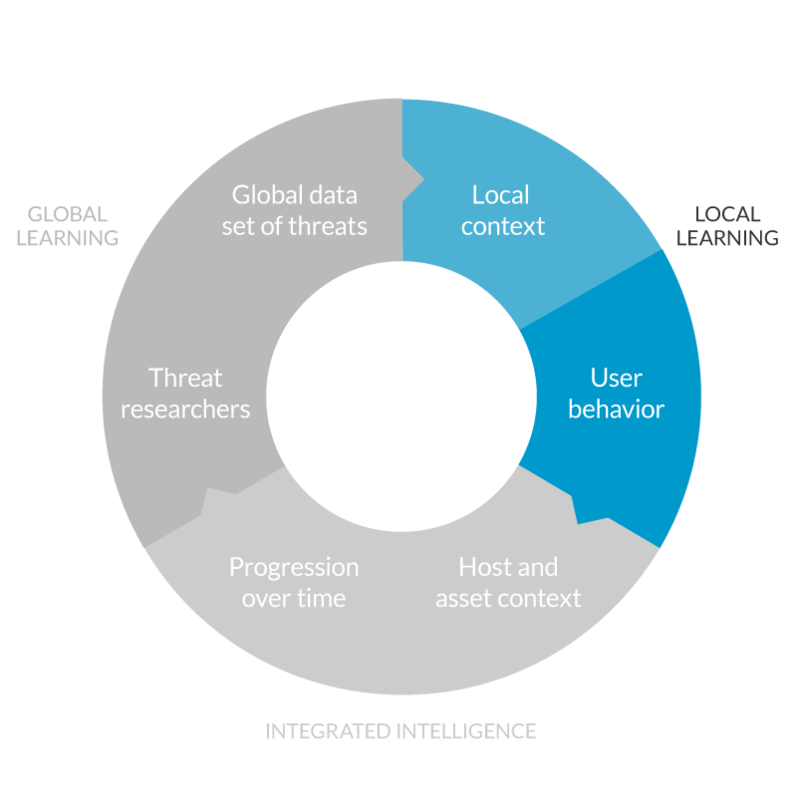 Local learning identifies what's normal and abnormal in an enterprise's network to reveal attack patterns. 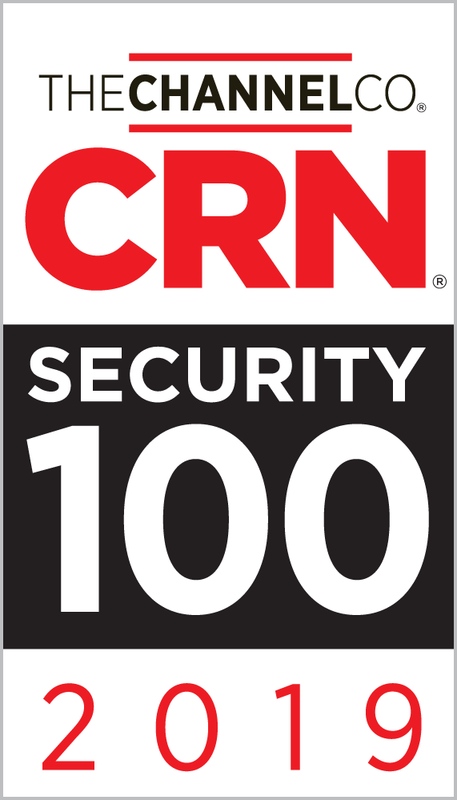 The key techniques used are unsupervised machine learning and anomaly detection. Cognito uses unsupervised machine learning models to learn about a specific customer environment, with no direct oversight by a data scientist. What: Learns normal behavior and finds signs of attack. Why: Reveals attack patterns that are unique to the network. How: Unsupervised machine-learning, k-means clustering. 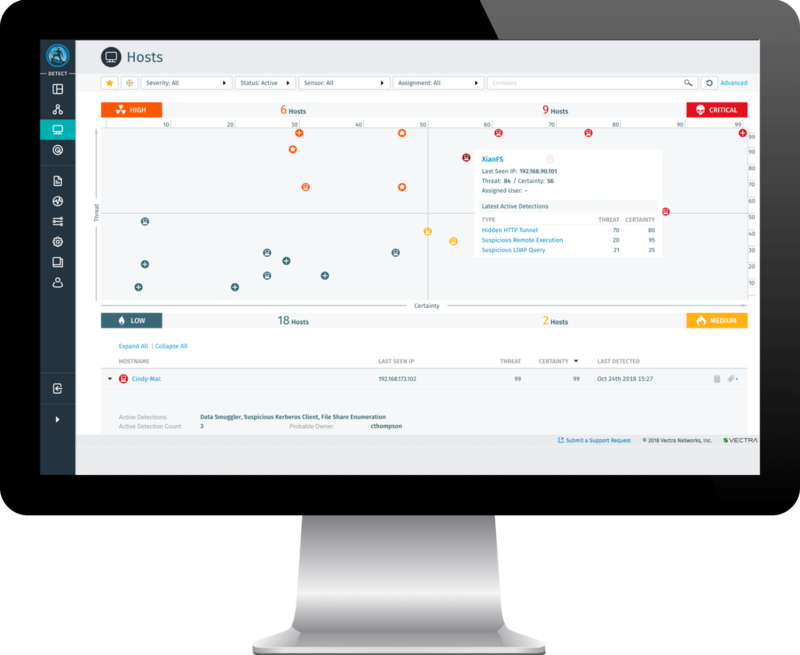 Automatically scores every detection and host in terms of the threat severity and certainty using the Cognito Threat Certainty Index™. 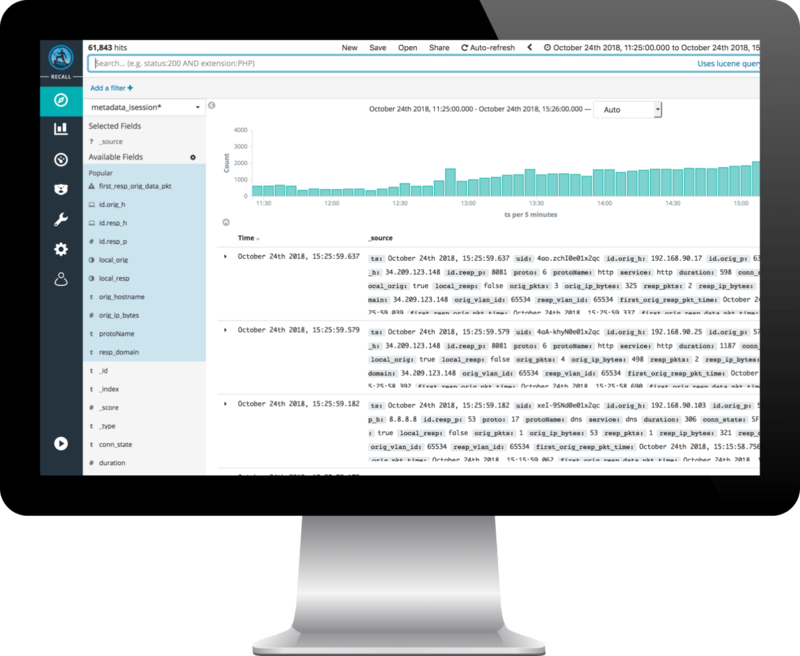 Tracks each event over time and through every phrase of the cyberattack lifecycle. Cognito puts special focus on events that may jeopardize key assets inside the network or are of strategic value to an attacker. Devices that exhibit behaviors that cover multiple phases of the cyberattack lifecycle are also prioritized, as shown. What: Automated scoring of hosts to reveal the overall risk to the network. 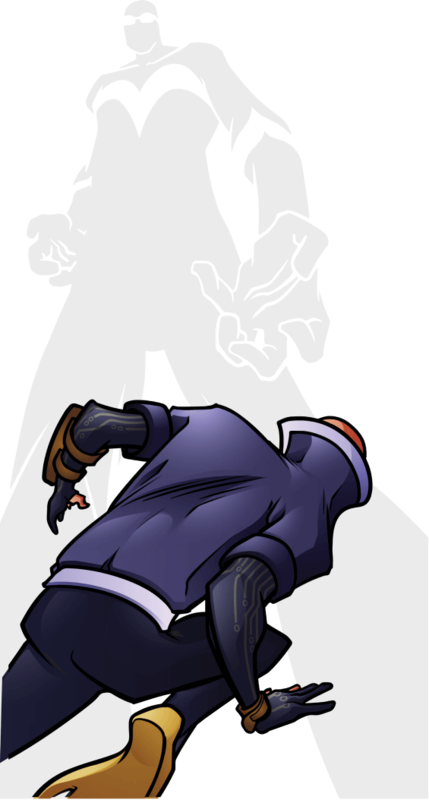 Why: Quickly boil down many events to reveal the key elements of an attack.